"And now Parnaka says: as the King ordered me, so I am ordering you: Give 100 goats to Duksis Irtasduna, as ordered by the King." First month, Adukanaisa, in 16th Year of King Darius. Ansukka wrote this order; Maraza delivered it to Harrena. 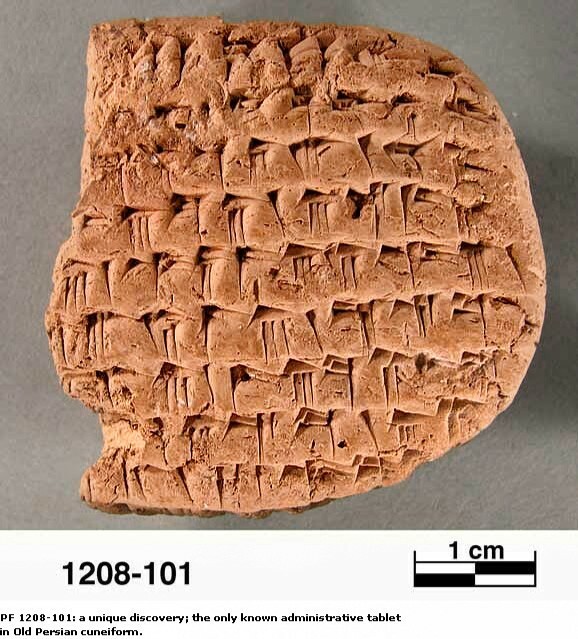 What Parnaka, uncle of the Great Darius, said was done by Harrena and the clay fragment bearing the order of the Great King was routinely archived by the imperial administrators of Parsa. During the reign of the following Achaemenid Kings, the older archives were probably moved to storerooms within the fortification wall of Parsa to make room for newer archives. And there they remained buried under heap of ashes for centuries after Alexander burned Parsa in 331 BCE in an act of wanton savagery. Lofty bare columns, splendid stairways, and carved stone walls stood tall on the massive platform resting at the foot of the Mountain of Mercy. Our glory will never fade..."
Sealed imperial tombs carved high into the nearby mountains in observance of Mazdean religious practices were desecrated by greedy godless men in search of riches and their contents robbed. Then came the Europeans who axed and hauled chunks of what was still left standing as souvenirs from their travels to exotic Persia... local government officials either too ignorant to care or too greedy to refuse bribes. The glory of Parsa truly never faded. What little of it that still stands today, is as magnificent as ever in the eyes of the mind. From 20 columns out of 72 that still stood on the Apadana Terrace by 1619, as reported by a European visitor, 13 remains. In 1930s, archaeologists from the Chicago University's Oriental Institute were the first to be given legal permission to excavate in Parsa, modern Takht-e Jamshid. And so came the first wave of the archaeologists from the Oriental Institute, headed by Ernst Herzfeld from the Berlin Museum. While Alexander and the Makedonians had taken all the Persian gold and silver, in their utter ignorance they had left behind the crown jewels. Hetzfeld found some buried treasures: splendid imperial art in all her glory: reliefs depicting scenes from the imperial festivities celebrating the Persian New Year; orderly processions of elite gift-bearers of 23 nations of the Achaemenid Empire; nobles and warriors and guards; bringing gifts of silver and gold vases and vessels and weapons, cloth and jewelry, camels and horses... as token of their loyalty to the Great Kings. "This is the kingdom I hold... which Ahuramazdah the greatest of the gods bestowed upon me..."
Next to a ravaged stairway, came the discovery of a lifetime: a second stairway, perfectly preserved under the rubble of mud brick walls. More foundation tablets were found. known as 'Treasury Texts' after their findspot; records of payments made to imperial workers in silver. dating from 509 to 494 BCE. This set became known as 'Fortification Tablets'. 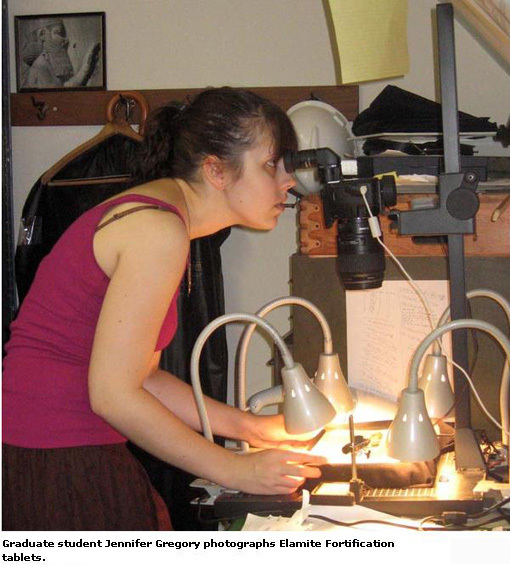 But Herzfeld did not keep meticulous records of the excavation about how most artifacts were found, how many were they, what was their condition and what else was found near them. After three years, Herzfeld resigned and Erich Schmidt from the Oriental Institute took his place. But unlike Herzfeld, Schmidt recorded everything and later published three comprehensive reports. In 1936, these clay tablets, most extremely fragile and fragmentary, were loaned to the Oriental Institute by the Iranian government for the purpose of decipherment and scholarly research. It is not known why a center of competency was not created in Iran at the time to decipher these tablets by Iranian scholars. It is a stretch to think that the historical value of these tablets, irrespective of their unknown contents at the time, was not understood by the Iranian government. At first, the discovery of these clay documents from Parsa which had become collectively known as 'Persepolis Fortification Archive' or more appropriately 'Achaemenid Administrative Archives', created tremendous excitement among western scholars. But the excitement soon faded when initial translations of the poorly understood Elamite tablets by George Cameron, a philologist from the Oriental Institute, revealed the mundane administrative nature of the archives: just everyday records of an ancient bureaucracy. No historical narratives like: "Darius the King said this..." or "Xerxes the King said that..." were found etched in lowly clay to excite the historians. Just Parnaka telling Bakadada, chief of workers, how much grain was issued to his 13 workers, with Takmaziya writing the order. Then came World War II and only a handful of scholars were left in Chicago working on the Achaemenid Administrative Archives. Richard Treadwell Hallock, a trained Assyriologist, returned to the Oriental Institute in 1947 after serving in the United States Navy during WWII. For the rest of his life, Hallock worked on the Elamite tablets of the Achaemenid Administrative Archives. They say he was a sort of a man who preferred to look at how ants moved the earth rather than how the stars moved across the sky. He said it himself: "If you are not confused, then you clearly don't understand the problem." By sheer brilliance, determination, persistence and a bit of borrowed Irish luck, Hallock and a handful of others slowly cracked the Elamite code of the Achaemenid Administrative Archives. In 1969, Hallock published Persepolis Fortification Tablets, a groundbreaking study of some 2,000+ Elamite texts, with a complete glossary of all known Achaemenid Elamite texts, and a wealth of names, tittles and administrative terminology of the Imperial Achaemenids. Ants finally cleaned the muddy earth from the face of the Persian Moon. Slowly the implications of Hallock's pioneering work became clear and the profound impact of his work literally launched the rebirth of Achaemenid studies in the 1970s. Meticulous collaborative studies of the Achaemenid Administrative Archives, by Hallock and other scholars greatly expanded the insight to and appreciation for the Achaemenid Persia, by enabling the reconstruction of life in Parsa during the Achaemenids. Achaemenid Administrative Archives, mundane records of storage and outlay of food: grains, fruit, meat, poultry, beer and wine, to workers employed by the imperial administration, unexpectedly became a rich source of information on art, language, culture, customs, gods, and the fascinating interworkings of a very complex empire. Bothersome babbling of Herodotos and the rest finally started to turn into background noise. No historian could longer claim with false authority that the Persian Achaemenids were illiterate barbarian rulers of literate civilized subjects. With the light of Achaemenid Administrative Archives now shining on the history of the Imperial Achaemenids, they were finally the proud progeny of millennia of astute statecraft, supported by a complex and sophisticated administration, tightly-knit and highly-linked together with all the regional administrators of the empire. Hallock died in 1979. He was the sort of a man who was blessed by the Great Kings. After WWII, the Imperial Aramaic texts of the Achaemenid Administrative Archives had fallen into the hands of Raymond Bowman who worked on them on and off for most of his life. By the time he died in 1979, he left draft editions of some 500+ Imperial Aramaic texts on Achaemenid Administrative Archives: a linguistic treasure chest still waiting to be examined further in relation to the Elamite texts. Works of Hallock and Bowman remain to be finished. While no narrative about Persian history is yet written based on the information gleaned from the Achaemenid Administrative Archives, some discoveries covered elsewhere are worth noting here again. no longer seems to be valid. A small window into further philological studies of Arya language has been opened. While the Assyrian palaces, Egyptian pyramids and Greek monuments were built by slave labor, Achaemenid Administrative Archives attest to a large number of free workers: men and women and children, who were employed by the imperial government for various works and they were mostly paid by food rations. Some professions were undertaken by both men and women while others were restricted to either men or women. Both men and women supervised the mixed imperial workshops and received similar rations. The highest-ranking female workers were called aras-sara (great chief). They appeared regularly in the imperial records, were employed at different locations and managed large groups of worker, including women, children and sometimes men. They received high rations of wine and grains exceeding all the other workers in the group including the men. Ordinary workers received rations according to their skills and men and women with similar skills and jobs received equal rations. Achaemenid Administrative Archives also provide a tangible insight into the more realistic social and economic situations of Achaemenid women. Royal Women are identified, payments of rations and wages for men and women are documented and sealed orders by the Royal Women themselves or their agents provide valuable information on how these powerful women managed their wealth. Land ownership by women was not exclusive to the Royal Women and the Achaemenid imperial administration recognized all women as independent legal entities that could own, sell or lease their own lands. Such discoveries gleaned from the Achaemenid Administrative Archives clearly indicate that the Royal Women enjoyed economic independence; they were involved in the administration of economic affairs and actively controlled their considerable wealth and position. They traveled extensively on the Royal Road; visited their estates and administered their land and wealth individually and at times with help from their King-husbands. Travel rations identify their travel partners, guards, servants, cooks, and others, and they were treated no different than royal men. They participated in royal festivities and banquets for the Great King and organized their own feasts and banquets. Well, so much for the Hellene and Judean views of women in Achaemenid Persia living secluded lives behind high walls of 'harems' with the sole purpose of bearing and rearing sons! Sovereign nations used to be generally immune from the jurisdictional reach of American courts and it was left to the Executive Branch of the government to decide when the presumption of immunity could be waived to allow a lawsuit brought against a sovereign. In 1976, United States Congress decided to replace the politically motivated ad-hoc decision making of the Executive Branch with a legal statute and the Foreign Sovereign Immunity Act was codified in law. In 1996 an exemption was made to this law, if the sovereign nation was considered a "state sponsor of terrorism". In September of 1997, a suicide attack on a popular shopping mall in Jerusalem killed five and left over 100 wounded. Hamas claimed responsibility. Two Hamas operatives were quickly arrested by the Israeli police and brought to trial and were subsequently convicted by an Israeli criminal court and punished. In 2001, American survivors and families of the victims of the 1997 Hamas suicide bombing sued Hamas and The Islamic Republic of Iran in the United States Federal Court in the District of Columbia, a landmark case on grounds that Hamas was a terrorist organization financed by the Islamic Republic of Iran. Since Hamas had no known assets in the United States worth pursuing, the Islamic Republic with deep oil revenue pockets was clearly the chief target of the plaintiffs. With no diplomatic relations since 1979, in 1984, the U.S. Department of State designated the Islamic Republic of Iran as a state sponsor of terrorism, so the Federal Court agreed and the sovereign immunity of Iran was waived for the purpose of the lawsuit. Islamic Republic of Iran ignored the lawsuit and failed to appear in the U.S. Federal Court to refute the charges brought against her. As they say: 'Ignorance of law is not a defense." Without any of the defendants appearing in court, the case was quickly decided and in September of 2003, millions of dollars were awarded in default judgment to the plaintiffs and another $300 million was added to the default judgment in punitive damages, bringing the total judgment to $423.5 million. But the plaintiffs soon realized that winning such a staggering sum in judgment was one thing, collecting it was an entirely different beast. Commercial assets of the Islamic Republic in the United States were frozen after the Iranian Hostage Crisis in 1979; a long line of plaintiffs with judgment won from other lawsuits against the Islamic Republic had been trying in vain for years to collect against such iced assets; and a frantic search for the riches of the former Shah did not unearth any hidden millions of dollars. 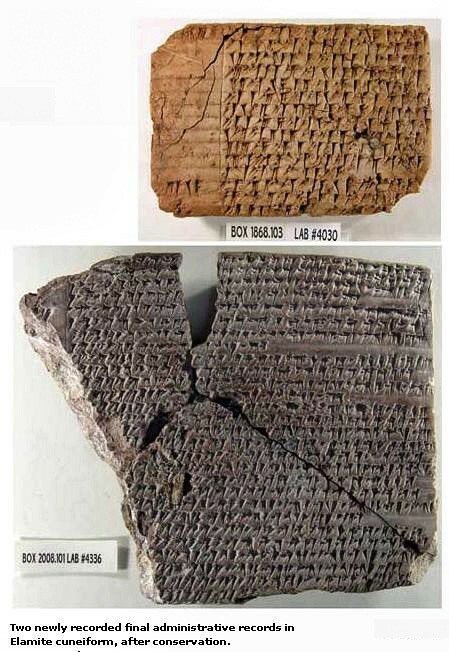 In 2004, the Oriental Institute of Chicago University returned 300 clay tablets from the Achaemenid Administrative Archives to Iran and the media publicity that followed caught the eyes of the Rubin vs. the Islamic Republic legal team. A lawsuit to collect on the judgment was brought quickly in the Federal Court in Illinois, and the court was asked to confiscate the remaining 'Persepolis Fortification Tablets' still in care of the Oriental Institute, as property of the Islamic Republic to compensate the victims and their families. At first, Chicago University's legal team took on the defense of the 'Persepolis Fortification Tablets' as a third party, stating that the Islamic Republic of Iran was reluctant to entangle with the United States courts due to the ongoing hostilities between the two governments. The Federal Court was not amused. The claim was rebuked by the judge presiding over the case by stating that the university's "brazen accusation that the courts of the United States are hostile to Iran and that, as a result, Iran should be excused from bothering to assert its rights, is wholly unsupported." In response to this decision, Chicago University invoked the old legal principle of sovereign immunity, stating that governments cannot be sued just like ordinary citizens, but could not make the claim on behalf of the Islamic Republic. In 2006, the Islamic Republic of Iran finally entered the legal proceedings to assert her rights. While going after frozen assets of the Islamic Republic had serious competition, Persian antiquities held by various museums across the United States had not been considered a part of official Iranian-owned assets to pursue. The Rubin plaintiffs made a connection: ancient footprints of the Persian Kings were tied to the shoes of modern Iranian Islamic Republic. In addition to the lawsuits brought against the 'Persepolis Fortification Tablets' and the Choga Mish collection held at the Oriental Institute, they sued Chicago's Field Museum of Natural History for its Herzfeld collection: a collection of Persian archaeological objects collected by Herzfeld during 1920s and 1930s, probably without the permission of the Iranian government, and sold to the Field Museum in 1945. Perhaps that was why Herzfeld never took detailed notes during his excavations. Rubin plaintiffs also filed separate lawsuits against Boston's Museum of Fine Arts and several Harvard University art museums, all with impressive collections of Persian antiquities, claiming such works of art still belonged to the Islamic Republic of Iran. The lawsuits were no longer just a fight for seizure of commercial assets owned by the Islamic Republic of Iran, but a fight for the seizure of precious Persian antiquities held by museums, regardless of who owned them. In 2005, Christie's Auction House in London included a stone relief fragment of an Achaemenid Imperial Guard for auction with an estimated price tag of £200,000 to £300,000. Iran's Cultural Heritage and Tourism Organization (ICHTO) submitted a legal complaint to a British Court in London, claiming ownership of this priceless work of imperial art, and asking for a halt on the sale of the precious cultural property and return it to Iran. To prove her ownership, a documentary film and pictures of the excavations carried out in Parsa and a complete report of the Oriental Institute's archeological works were submitted to the court. The relief, part of the stairway of Apadana Audience Hall in Parsa built by Khasayar-sa (Xerxes), was unearthed in 1933 during archeological excavations by the Oriental Institute. It was auctioned in New York in 1974 and was sold and re-sold to a French collector who kept the piece for 30 years in her private collection in France. It is not clear how the piece was taken out of Iran in the first place and why the government of Iran did not take any legal action in 1974 to stop her cultural property from being auctioned off and sold in the United States. The British Court refused to rule in favor of the Islamic Republic and referred the case to the Appeal Court for further investigation. The Appeal Court also rejected Islamic Republic's claim, arguing that the historical relic had previously been sold twice in New York without any objection on the part of Iranian government. They say it was also suggested to the Islamic Republic that she should purchase the Achaemenid relief fragment. But apparently the suggestion was rejected by Iranian authorities because they believed that purchasing the ancient artifact would legitimize the illegal act of smuggling cultural properties. In October of 2007, after two years of struggle to reclaim the Achaemenid Imperial Guard, it was sold again to an anonymous buyer by Christie's for £580,500 (about $1.2 million). According to their website, similar artifacts from Achaemenid era have been sold by Christie's over the years. Decades of neglect in reclaiming the Achaemenid Imerial Guard and returning it to Iran resulted in losing a priceless piece of Persian cultural heritage which belongs to all the Iranians. 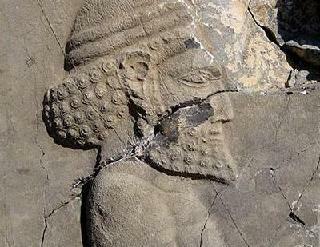 While international conventions have banned stealing or illegally transferring cultural properties of one nation to another, refusal of the British Court to put cultural ahead of political considerations and to recognize Iran's ownership claim over the Achaemenid Imperial Guard fragment in good faith in order to facilitate a return to civility and diplomacy, violated moral if not legal international obligations of nations and undoubtedly added to feelings of hostility between the two governments. 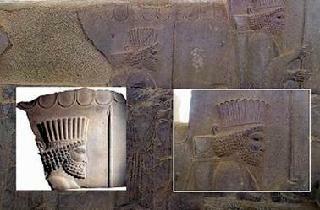 In 2006, a member of a film crew making a feature-length documentary film in Parsa was arrested for vandalizing two Achaemenid reliefs. The perpetrator was found stabbing the reliefs with metal tools, extensively damaging head of an Achaemenid Imperial Guard and causing much harm to another relief depicting a representative from an Achaemenid subject nation bringing gift to the imperial court of Great Kings. While there are no other details available, Iranian authorities claimed that the vandal was planning to smuggle the broken reliefs out of Iran. If true, this could be an early indicator of the realization that ancient Persian cultural properties are highly in demand in the shadowy global world of art markets. Since the politically charged American and British courts are unwilling to enforce international laws in regards to stealing or illegally transferring cultural properties of Iran, ancient Persian antiquities could be apparently stolen in broad daylight, smuggled and sold with immunity from legal prosecution. What kind of damage this sort of greed and ignorance could unleash upon the ruins of Parsa would hinge on the ability and willingness of the Islamic Republic of Iran to safeguard such national pre-Islamic treasures. After 4 years of legal wrangling, Persepolis Fortification Archive is still caught in the net of American legal system and is likely to remain captive for a number of years to come while the legal battle for Persian antiquities unfolds in various courts across the United States. While Chicago University's efforts to preserve the integrity of the Persepolis Fortification Archive are highly commendable, the defense of the Achaemenid Administrative Archives, cultural heritage of ancient Persia, falls squarely on the shoulders of the Iranians themselves. However, after some 70+ years, the measured academic pace of Oriental Institute's scholarly research on Achaemenid Administrative Archives has finally turned into a feverish race against time in the capable hands of Professor Matthew Stolper, one of the world's leading experts in late Babylonian historical and legal texts, with interest in Arya and Elamite languages and Achaemenid history, who is devoting his life to complete this extraordinary task at hand. The Oriental Institute is in need of additional grants to complete its critical work using state-of-the-art imaging technologies. More volunteers could not hurt either! But while the Persepolis Fortification Archive is just one of the many projects at the Oriental Institute, slated for return upon completion of research, and their loss under such unfortunate circumstances would no doubt impact the prestige of such a renowned institution and the status of other artifacts currently on loan to the Institute for study as well as Institute's access to similar objects in the future, Achaemenid Administrative Archives, on the other hand, are rare, unique and the only contemporary material evidence from the inside of the Achaemenid imperial administration and their loss will have a profound impact on piecing together the history of the Persian Achaemenids from the Iranian perspective with the imperative to know more about how their ancient civilization evolved over time. Islamic Republic's refusal to appear in United States courts to defend herself against real or imaginary charges will only make her an easy target of endless civil litigations and would result in more and more lawsuits with the default judgments starting to add up to billions of dollars: a significant barrier to the normalization of diplomatic relationships between the two sparring governments, when cooler heads are elected to lead each sovereign nation. Given the current political tensions, however, realistically it is unlikely that the U.S. courts would rule in favor of the Islamic Republic in similar cases, even if the Iranians start to put in an appearance; effectively practicing some sort of de facto American foreign policy that is legally solely reserved for the U.S. State Department. Justice is not blind like the King's Law. Which court would not give boxes full of clay lumps to sympathetic plaintiffs and their families, suffering from life-altering mental and physical wounds, to ease their pain and make their lives as comfortable as possible? Who does not want to see men who have the blood of innocent on their hands punished? But as the ancient Babylonians used to pray: "My Goddess, lay thy punishment on he who is sinful, be merciful that the innocent not be destroyed." As the result of this landmark lawsuit, Rubin vs. the Islamic Republic, not just the remaining Achaemenid Administrative Archives, some 8,000 tablets and 11,000 fragments, held at the Oriental Institute by the order of the United States courts, are in the danger of being seized, divided and sold in auctions, but all the Persian antiquities in museums have become the subject of unbridled legal greed. The ultimate loss will belong to the Iranian cultural heritage, without making any real impact on the bloody behavior of extremist individuals and governments. The families of U.S. marines killed or wounded in a 1983 bombing in Beirut have joined the Rubin lawsuit and are trying to apply any money garnered from the Achaemenid Administrative Archive against a $2.7 billion judgment against the Islamic Republic which they won last year. Others are likely to follow suit. The initial intent of the United States Congress in legislation against terrorism was to ensure that terrorist regimes could not injure Americans with impunity. However, the impact of a legal decision in favor of the Rubin plaintiffs would undoubtedly have other adverse impacts, far beyond the fate of the Achaemenid Administrative Archives: it could unintentionally bring all the American museums with vast collections of antiquities to their knees with endless litigation to either prove legal ownership of such cultural properties of many ancient civilizations that were looted by the west or have them seized by the increasing number of plaintiffs desperate to collect on millions of dollars worth of judgments. It could possibly put the entire holdings of antiquities of all the American museums on a shelf for sale to the highest bidders. Achaemenid Administrative Archives are literally boxes and boxes full of dust and clay fragments and their historical value rests with the data collected from the entire set by highly specialized scholars, no more than 20 in the entire world. Their commercial value, however, is harder to estimate. Judging from the case of the Achaemenid Imperial Guard in London, it is unlikely that the Islamic Republic would buy back the collection in art auctions. As small lumps of extremely fragile clay, they are not 'works of art' to be framed and put on a wall to be admired. So the commercial value of them is perhaps highly overstated. In a bizarre twist of fate, seizure and sale of Achaemenid Administrative Archives, the priceless imperial administrative records, will not only do irreparable harm to Persian Achaemenid history by destroying the wholesome integrity of the few remaining direct material evidence of their reign, it will indirectly accomplish what the Islamic Republic of Iran dares not do publicly: destroy the continuity of modern Iranians with their proud and glorious Persian history. In the case of all the Persian antiquities held by American museums, a favorable judgment for the plaintiffs would no doubt be ruinous for the museums and its true impact cannot be predicted. The museums would either have to litigate and take their chances with the courts; settle out of court for huge sums of money; or hand over the precious antiquities for sale. With vast holdings of Persian antiquities in British, French, German and other western museums, it is yet to be seen whether staggering legal judgments pending against American collections would entice the Europeans to test their respective legal systems in regards to such emerging international legal issues, where legal courts are bearing down on foreign policy. Iranians themselves could bring lawsuits to reclaim their long lost looted natinal treasures from various western museums. by the museum who 'acquired' the historical object from an Assyrian raider of antiquities? They say, in a letter to Darius III, Alexander wrote: "I crossed into Asia, wishing to punish the Persians!" As the old saying goes: "A fool throws a stone into a well, which a hundred wise men cannot pull out." the dead outnumbered the living. When a world ends, will words remain? About the author: A. J. Cave is a San Francisco Bay-Area Iranian-American writer. Her first novel, Roxana Romance: Roshanak Nameh [Book of Roshanak] was published in 2008. 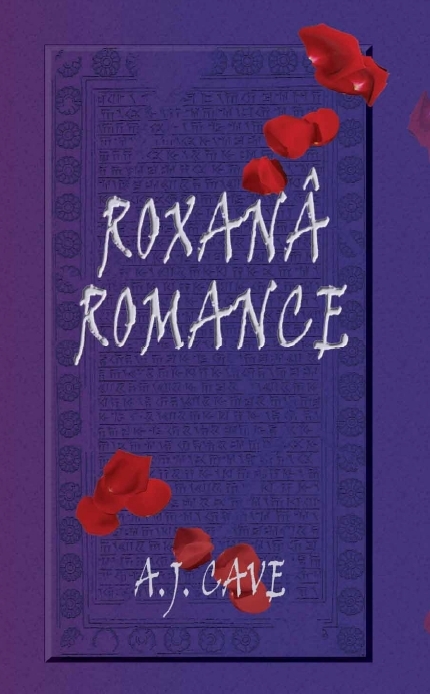 Roxana Romance is the story of Roxana who married Alexander the Great, King of Macedon, who defeated the last Great King of the first Persian Empire. They say it was a love match. The third chapter of the novel: 'Axis of Empire' is about the horror of burning of Parsa [Persepolis] by Alexander. It puts Achaemenid Administrative Archives in context of time and place. It is provided here by the author in pdf format.